Solihull College & University Centre’s Learning Technologies and Computing & Emerging Technologies teams were recently involved in the production of an exclusive ITN video showcasing the College’s use of virtual reality. The footage premiered at the ‘Learning for Life’ event hosted by ITN Productions and the Association of Colleges in November. Virtual reality is a recent college initiative aimed at capturing and maintaining student attention – a spearheaded campaign to extend learner experiences by bringing real world environments in to their classrooms. This is supported by the College curriculum developing a VR degree, as well as investment in a state-of-the-art VR lab at Blossomfield Campus. Industry Reporter Nick Wallis was welcomed to campus to discuss VR advancements in learning. “Meeting the team at Solihull College was an eye-opener”. Nick stated “The work they are doing with VR is very impressive. 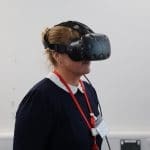 I was particularly taken by how staff across the College are keen to incorporate VR into their teaching and how readily the students embrace it”. The Computing team have been working closely with employers to create partnerships and discuss new technologies and how they can be used. Employers have been invited in to the College and staff have attended events to create discussions on engaging in immersive learning. Staff recently visited the West Midlands Employers Conference to discuss how technologies can help with mindfulness using VR guided meditation apps. One of the employers who have partnered with the College is Virgin Trains. The College visited Virgin’s training facility and showed a demo of projects the students had been working on over the past year. Virgin were intrigued and asked the College to help the Health & Safety team with training. Students will create VR scenarios inside a train to help with training on how incidents might be combated. Garry Hall, Head of Safety for Virgin Trains is impressed with the partnership stating, “I have found the College very easy to work with. They have given us lots of options as to how we can use VR to assist us with our safety initiatives and training. 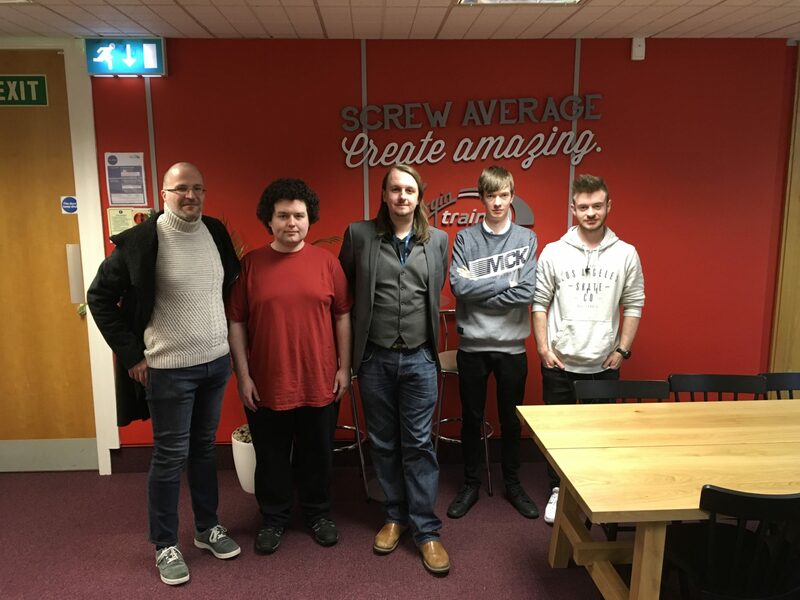 The students that came to see our training facility were extremely knowledgeable regarding what could be achieved and asked lots of questions to give them a better understanding of how we could benefit from using VR. We really look forward to seeing how they turn ideas into something that could benefit our on-board teams and customers by reducing accidents and increasing awareness”. Computing degree level students will now be working on the first stage of the project. The staff will use physical training within a carriage first, then the virtual reality assistance as a refresher. Simon Hunt, Course Leader for BSc VR & Games Design stated “This sort of project is invaluable. 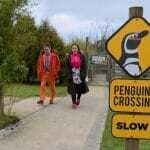 It gives students the opportunity to do a real life degree level project but with support and guidance. This is how they can apply what they are studying to a real scenario”. There has been wide-spread interest from employers on how virtual reality could help their business, including an employer group carrying out a team building VR session just last week. If you are interested in studying a virtual reality course at the College, please visit www.solihull.ac.uk.